from mean street to Venetian passage . 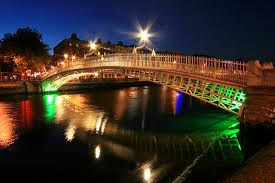 . .
this is the Ha’penny bridge. chained to the granite quays. and redemption for avoiding eyes. this crown of Anna Livia.